Large sweet woodruff leaves in delicate outlines. 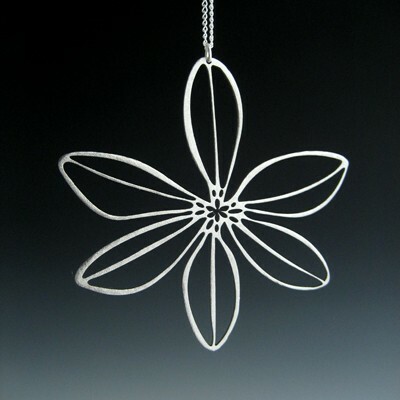 Created in stainless steel on a sterling silver chain. Also available in 14k gold plated steel with gold filled chain. Pendant is 2" in diameter. On 18" chain.